Mother is officially screening for summer interns for its New York and Los Angeles offices. 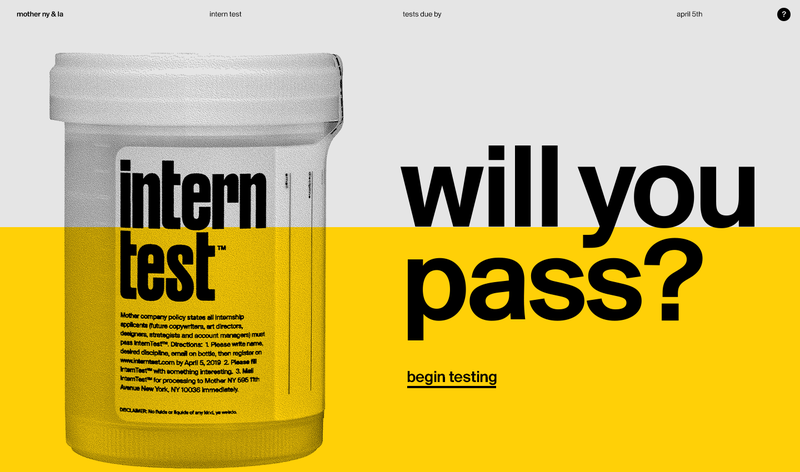 Company policy states all internship applicants (future copywriters, art directors, designers, strategists and account managers) must pass the InternTest™. See your local administrator to receive a physical InternTest™, while supplies last. 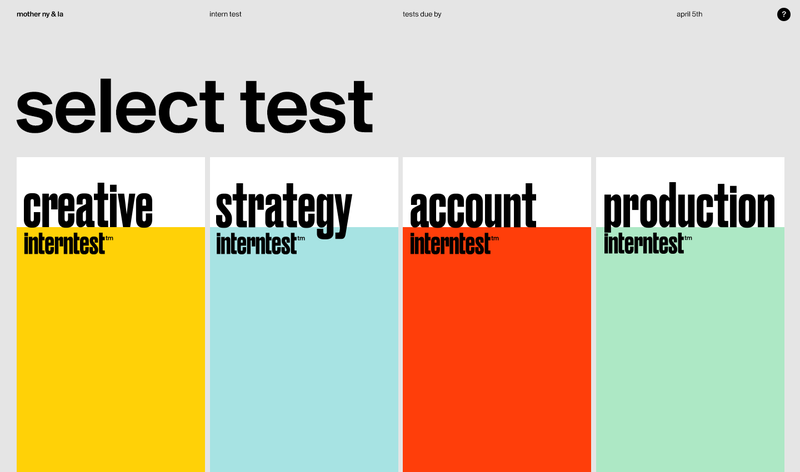 If you are unable to obtain a physical test, visit us on the web at www.interntest.com to complete the test digitally. 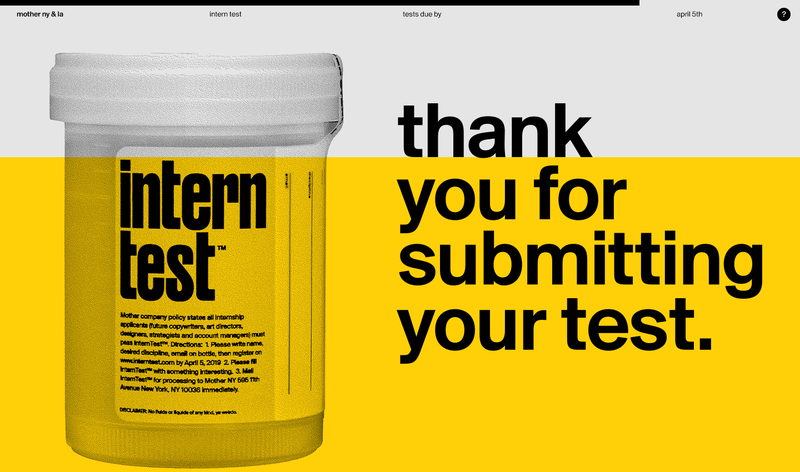 Please submit your InternTest™ to the Mother New York office or online by April 5, 2019. Processing will occur on a rolling basis.